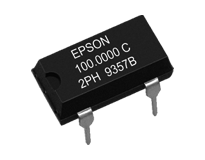 By delivering 24-hour custom frequencies, Epson programmable oscillators revolutionized the world of frequency control and enabled rapid product development. 4th generation of devices is available now! 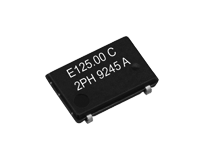 With 24-h delivery, programmable oscillators are ideal for supporting typical and non-typical frequencies and quick frequency experiments for rapid prototyping, preproduction or low/medium volume production. 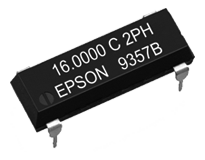 Prototypes can easily be converted to pin-compatible Epson fixed-frequency oscillators for production volumes. Standard: Standard type of P-SPXO with no additional functionalities, but with cost and fast availability benefits. Spread Spectrum: P-SPXO with programmable spread spectrum modulation added. Down or center spread, 3 profiles, 4 modulation frequencies, 6 modulation widths. All can be defined. By spreading spectrum of initial frequency SS oscillators helps to solve EMI/EMC problems. Selectable: P-SPXO with 2 or 4 user specified start-up frequencies. Output frequency is selected via Fsel inputs. Device helps to increase integration of timing components in applications like Optical Networks, Base Transceiver Station or Testing Equipment. User Programable: P-SPXO with one start-up frequency defined in 7-bit register. Frequency can be changed by user via I2C interface. 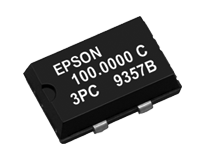 Epson provides standard TTL, CMOS & LVCMOS single outputs as well as differential LVPECL output types. Designed frequency is created using Integer-N or Fractional-N PLL circuit to frequency synthesis. 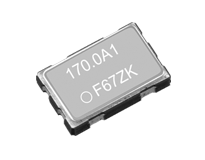 Legacy: SG-8002 & SG-8003 are older designs, which still can be supplied for running designs. For new developments we recommend Cost Effective either High performance series. 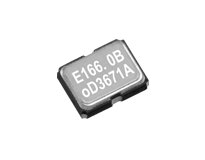 In this section you will find only typs which supports 5V TTL & 5V CMOS logic. Cost Effective: Our hi-runner. 0,67-170MHz (1ppm step) frequency range. 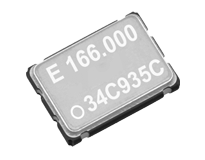 50ppm stability up to 105C including 10 years aging!. CMOS output. 1.62 ~ 3,63V supply voltages supported. 4 package styles available. SG-8002: Older design. 1-125MHz frequency range. 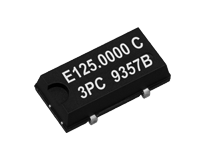 50ppm up to 85C stability. 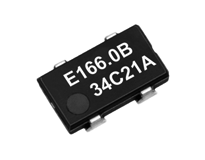 The only type which supports 5V TTL & 5V CMOS logic. 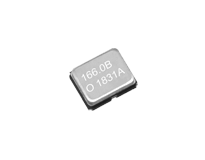 3.3V CMOS also supported but for this configuration we recommend Cost Effective either High performance series. SG-8003: Older design. 1-166MHz frequency range. 50ppm up to 85C stability. CMOS output. 3.3V, 3.0V, 2.5V, 1.8V supply voltages supported. Improved power consumption, and jitter level to compare with SG-8002. 5 package styles available. For new developments we recommend Cost Effective either High performance performance series instead.